Daniela has won multiple medals during her athletic career. 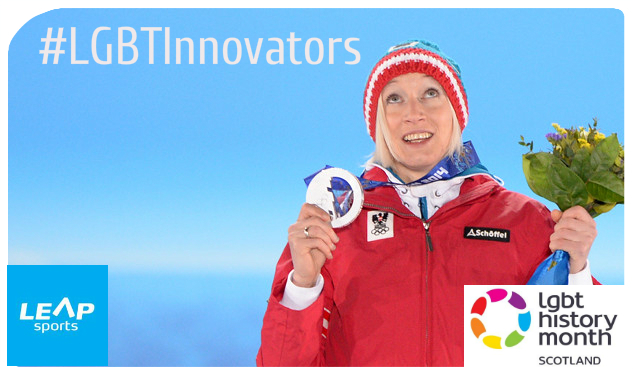 She is best known for her three individual victories at the Holmenkollen Ski Festival (2000, 2001, 2003). She won the fourth overall World Cup season for ladies in 2014/15; the gold medal at the 2007 Winter Universiade in Turin and gold at the 2011 Ski Jumping World Championships in Holmenkollen. At the Winter Olympics in Sochi she not only took home the first silver medal in the event but she became the second openly gay athlete to medal at the Sochi Games. At World Cup level, she has nine individual wins and finished second overall in the first ever women’s World Cup season in 2011/12. On 29 January 2003, Daniela became the first woman to fly over 200 metres, during practice for a World Cup event on the ski flying hill in Kulm a women’s world record which still stands today. The comments came after a minor media controversy when she said she wanted focus on the event rather than protesting Russia’s anti-gay laws. “I fight a lot in my life, for my sport and for my love,” she added. Her love being her wife, who she married last year. Written on 26th February 2016.